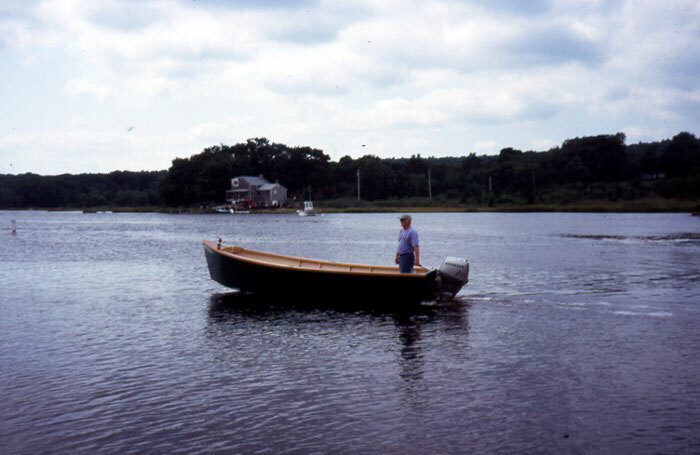 Jerry Mathieu and Roland Desmarais designed and built this Chog 18, based on lines taken from a Westport Skiff, a design that has been around for 60 years. This hull is 17' 10" long with a 6' beam. It has 3/8' okoume plywood on the sides and -+ composite fir plywood on the bottom. 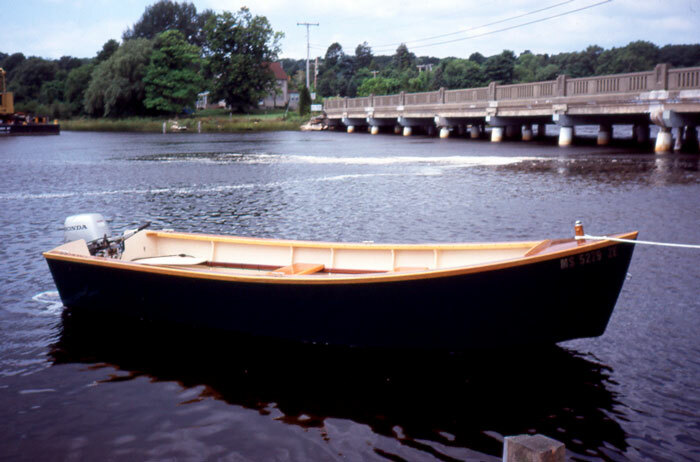 The transom is 1.5' composite fir plywood. The deck and seats are laminated mahogany, with ash trim. 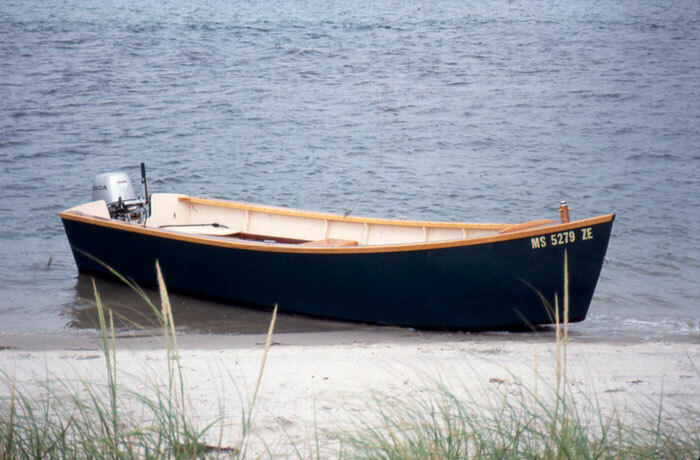 The hull weighs 500 lbs and moves easily with 30 hp motor used for propulsion. Jerry and Roland have a website at www.chogboats.com or email them at woodzowl@earthlink.net.